Separate Bloodmoon patch for The Symphony. Replaces Wolf, Bear and Skaal armor along with other small items. Just a small patch for The Symphony to change Bloodmoon's armors and small items. - 100% of misc items. Requires both Tribunal & Bloodmoon. independently of The Symphony's master files and BSA archives. - Can be used with saved games. + Wolf & Snow Wolf Armor. + Bear & Snow Bear Armor. + All Bloodmoon misc items. + All Bloodmoon books (changes settings for scrolls, values, and removes some References Persists flags). 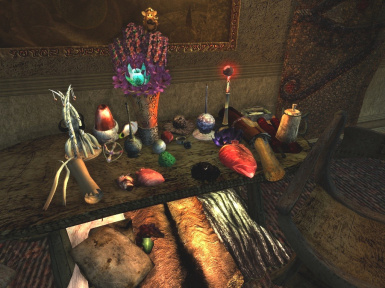 + All other smaller assets in Bloodmoon, such as lights and potions. + Changes some spells and enchantments. 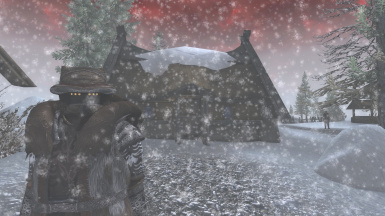 + Snow armors now enhanced with scripting. + All helmets and greaves have special scripts for making them fit Argonians. as they will unequip the first time, but this happens only once. It's a check that replaces these armor parts for beasts and humanoids. - No change for Bloodmoon creatures. @_BM_Stuff(Full).esp - Base version of the master file. All in once! Armors and other. Not needed to activated any other version of ESP files together with it! @_BM_Stuff(armor).esp - only armors! No items and other. Install it if You not wanted to replace the misc items. @_BM_Stuff(items).esp - only items! No armors and scripts. Install it if You not wanted to replace the armors. *Can work and without it, but with some not critical errors. 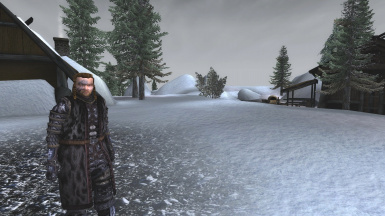 - Replaces the smugglers and reavers along the river on Solstheim, with hunters and guards. - You can barter with them. - They can help you against hostile creatures. - Basks-In-The-Sun finally gets a good, warm helmet and boots. DO NOT equip his armors if you aren't Argonian, or using the mod Jammings Off, or any similar fix for base animation files. Argonian armors optimized under beast skeleton. 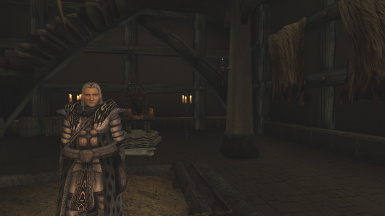 Don`t equip any bear or wolf armors during the last Carnius quest! The scripts change the ID of helmets and greaves, which can break this quest. This plugin is highly recommended to use with the Symphony Project! start a new game, or if you don't use The Symphony at all. This mod is included in Version 1.7 of The Symphony. No need to use together, unless you want to. Just be sure to activate only this mod's ESP files and not the BSA archives. 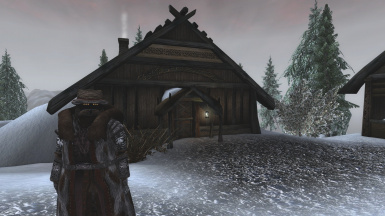 This plug may be used with Stalhrim Armors pack. - the masks on some furs helmets is very bad working with BIG heads! Orcs, females, vanilla. It's can be fixed easy, just change the type of body part slot in CS. Or more easy - add 2x slot record ->head. Hair + Head. But, you can't to see the eyes in lenses of helmets.